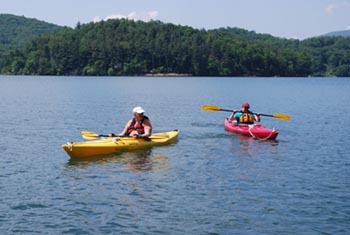 Enjoy the lovely mountain air at Lake Glenville outside Cashiers in Western North Carolina, the highest lake east of the Rockies. 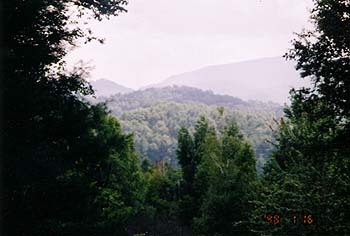 The lake has 26 miles of shoreline in the midst of the Blue Ridge Mountains. 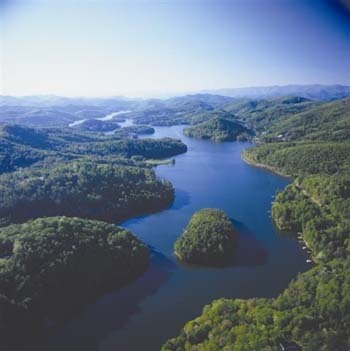 It is one of the ten cleanest lakes in North Carolina and has the state record for walleye and rainbow trout. This lake, considered one of the "Ten Most Beautiful Lakes In The U.S.," has 7 islands and 4 waterfalls. 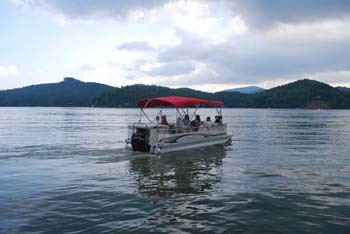 Our Waterfalls Cruise on Lake Glenville is available to our Cottage and Cabin Guests. This cruise is one of the highlights of being at Innisfree. Call the "Captain's Office" to reserve your cruise and kayaking and reserving your cottage or cabin. are Kid and Pet Friendly.